In my childhood, I used to watch "Professional Wrestling", which was completely staged, and not true wrestling. One of the popular wrestlers was an Egyptian, who went by the name of "Skandor Akbar." Only later, did I learn what the name meant. 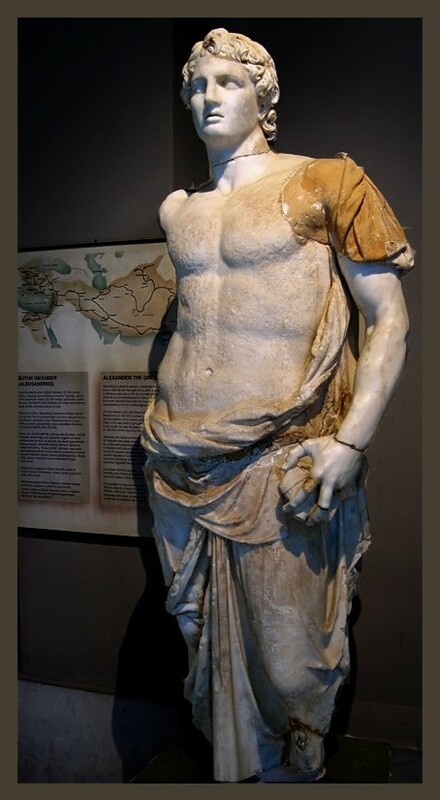 The statue seems to present the usual interpretation of Alexander, brilliant, ruthless, and driven. A man of considerable courage and leadership, who knows what the world would be like if he had not died so young? When his army finally refused to go any farther east, would he have then turned to Italy and Iberia and Gaul? In my childhood, I used to watch "Professional Wrestling", which was completely staged, and not true wrestling. :GAh, from time to time I still do to laughat the narrators' commentary!! One of the popular wrestlers was an Egyptian, who went by the name of "Skandor Akbar." That's interesting!Eh,being their pharaoh, he was considered a God in Egypt, wasn't he? Hadn't he died in Babylon at the age of 33, still he would have!! The statue seems to present the usual interpretation of Alexander, brilliant, ruthless, and driven. Again, thank you so much for your erudite feedback, Barbarian. How timely! I just watched a 3 hour documentary on him this week! Nice shot Bahadir!